Our mission at Habitude is simple: to love and amaze our customers and each other. We are committed to making your day. We are determined to provide fabulous futures for our staff. We are devoted to giving back to the community and our world. Could life get any sweeter? Our spa has been recognized as one of “America’s Top 20 Spas” by Launchpad Magazine. 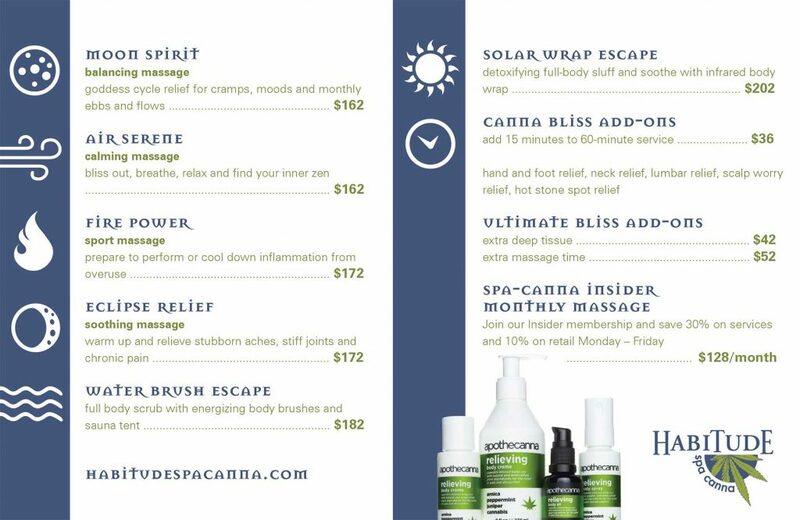 Habitude’s team of highly trained service providers is dedicated to massaging you on the inside as well as the outside. Our unique, warm “Northwest-y” ambiance transports you to another place for an hour or a day. Our diverse, world-class team of stylists offer the opportunity for you to not only receive an incredible look, but to make a connection with someone who “gets” you and your desires. Enjoy the ambiance and stress-relieving scalp treatment or luxurious hand massage included with all salon services. Don’t leave without a complimentary finishing touch of makeup! Habitude at The Locks is located within a working art gallery. Rotating art exhibits visually transform the space each season, keeping our guests and staff stimulated creatively and exposed to rejuvenating and fresh art! As you wander from gallery to gallery, you’ll discover distinctive art, funky furnishings, and uncommon gifts. I had a great experience at this spa yesterday. I came in for a brown/eyelash tint and a haircut. The ladies in the spa area were very kind and offered me a cup of that yummy Aveda tea while I waited. Tera did the tinting and she was amazing! I have never had better results. Love Love Love. OMG the first time I went to Habitude I got the "Night Out on The Town" package for my birthday. I loved the rosemary mint mani pedi. The woman who did my makeup made me look gorgeous! A wonderful location to get a quality hair cut with your choice of Aveda or Bumble and Bumble products. The location is near the Ballard locks and has easy street parking, friendly staff and they provide a very quality haircut with a stylist who takes the time to listen, ask questions and provide honest feedback to give you a quality haircut. I love Habitude! The ambiance is wonderful; it feels natural, and eccentric but not too trendy. Thank you for the delicious tea that is always offered! It's nice to sit and relax with a cup of tea before the appointment.